What is a virtual card service? A virtual card service is a service that is offered through your card provider. It allows you to get virtual cards that can be used to make secure purchases online or over the telephone. Virtual cards are excellent tools to use for expense management, expense tracking, and fraud prevention. In the 2017 Association for Financial Professionals Payments Fraud and Control Survey, 74 percent of business organizations reported that their companies were the victims of payments fraud in 2016. Of that percentage, 32 percent reported credit or debit card fraud, and 75 percent reported check fraud. Using virtual card services in lieu of writing checks, sending ACH transactions and using your regular credit or debit card for remote purchases can help you to prevent fraud from happening at your business. How do virtual card services work? Virtual card services are offered by some card issuers and banks to their customers. Businesses and consumers can contact the company that offers the virtual card services and request that virtual cards can be issued. The virtual cards can be virtual debit or virtual credit cards of several different types. They can be instantly generated and ready to use within a few minutes. A virtual debit card represents your deposit account, and purchases are subtracted from the balance. A virtual credit card represents a credit card, meaning that purchases will be charged to the credit line. Who uses virtual card services? Virtual card services are used by both consumers and businesses to generate virtual cards for secure payments. However, businesses have been slower to catch on than consumers. While check usage among consumers fell from 46.5 percent to 13.4 percent from 2003 to 2015, businesses reported making 51 percent of their payments by check in 2015. Businesses are now slowly starting to catch up because of the fraud prevention and expense tracking capabilities that some virtual card services companies and cards offer. By using virtual card services to use virtual cards instead of writing checks, business owners can greatly reduce their exposure to external and internal fraud and theft. You might wonder about a virtual card meaning and the definition of a virtual card. A virtual card definition is a non-physical card that consists of 16 randomly generated credit card numbers and CVV codes that can be used to make secure purchases online or over the telephone. While the card numbers represent the originating card account or deposit account, they are not directly linked to it. This means that you can use cards that you generate to make purchases, but thieves will not be able to use the numbers to gain access to your money or to your identifying information. Once the numbers are used, they expire and will no longer work. 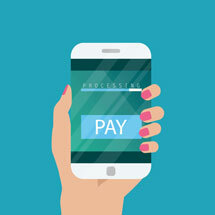 The virtual card definition includes several different categories of virtual cards, including procurement cards, virtual debit cards, virtual credit cards, and procurement cards. Each of these different types of cards may offer protection from potential fraud. The different types of virtual cards may serve different needs better. Some of the cards might be better for larger companies while others may be beneficial for companies of all sizes. A ghost card is a random 16-digit number that represents the company’s credit card or high-balance bank account. It can be used in a vertical or horizontal fashion, is scalable, and is meant for larger businesses and businesses that are quickly growing. For horizontal uses, a company can assign individual ghost card numbers to different departments. The numbers can be used by all the employees of a single department to charge items in preapproved categories. 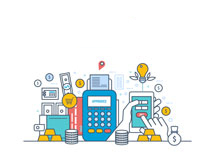 When the cards are used vertically, the numbers can be assigned to certain suppliers with which you company does a high volume of low dollar transactions. The supplier can simply charge the items to the number that you have provided. A procurement card is another type of card that employers can give to certain employees. The p-cards may be restricted by the amounts that are available and where they can be used by the employees. They can be used to pay for purchases over time. P-cards do not allow balances to be carried over from month to month. Some card issuers require the balances to be repaid in full at the end of the month while others debit each transaction from the business owner’s business account balance. A virtual debit card is a type of virtual card that can be given to an employee to pay for a specific purchase. The business owner can get a card in the amount of the purchase price and restrict it so that it can only be used for that merchant or vendor. Once it is used, it will no longer work. 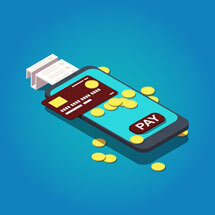 A virtual debit card represents the business’s deposit account, but it won’t allow people to use the number to get to the account or to uncover the business’s information. This makes it a much more secure solution when businesses are making remote payments for purchases. With a virtual API provided to your business from a card issuer, you can send a request to the issuer to create as many virtual cards as you need instantly. A strong API should allow multiple types of cards to be created for your needs. With virtual card services, you can send your request to the issuer and receive virtual debit cards that can be activated and used within a few minutes. Using a virtual API can help you to create cards much faster than accessing the function via a standard dashboard. Ghost cards are generally meant for larger companies. You can assign different numbers to each department within your company according to the types of purchases that the departments need to complete. When employees make purchases, they are charged back to the department, allowing easy tracking of the expenses at your company by the department. Virtual debit cards are given to individual employees rather than to departments. They can be used to make preapproved purchases from the vendors that you have chosen. You can either set the debit cards to expire immediately once a single purchase is completed or set it to work for a set period. You can use virtual card services to create either virtual debit cards or virtual credit cards, depending on your chosen company. However, virtual debit cards might be a better choice. When your employees make purchases with the virtual debit cards that you give to them, the purchases are sent to your underlying deposit account. The costs of the purchases are subtracted from your existing balance so that they will not add to your debt or incur interest. By contrast, virtual credit cards are linked to underlying business credit cards. When they are used by your employees, the purchases are charged to your credit card’s revolving line of credit and add to your company’s debt. If you do not repay the balance in full by the end of the month, you can also expect to be charged a high rate of interest. As of Oct. 2018, the average business credit card interest rate was 15.37 percent, and businesses may be charged high rates of interest regardless of how good their credit scores might be. Using virtual card services can help your company to reduce invoices and automate invoice processing. For example, if you have a high-volume supplier, you can assign that supplier a virtual number. Orders that are placed to the supplier can be charged to the associated virtual card number. 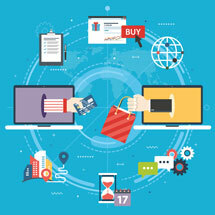 Paying for orders quickly can help your company to build its goodwill with your suppliers and vendors. This might lead to your company securing discounts and better deals with the companies with which you work and help you to grow your business and your credit. While the world is moving towards cashless payment systems, the business world has been a little slow in catching up. Many businesses rely on outdated paper-based systems that expose them to fraud and mistakes. Using virtual card services can allow you to eliminate checks, lengthy purchase approval processes, petty cash funds, and reimbursements. Good virtual card services should also allow strong integration with your accounting software so that the transaction data from each of your virtual cards can upload automatically and into the correct categories. This can help you to avoid mistakes that can happen during manual data entry. Having good expense management practices is crucial for the success of any business. If your expense management practices and controls are weak, you are at risk for ballooning costs and internal and external fraud. Implementing better expense management practices should start with a well-written expense policy that clearly outlines how employee expenses should be handled. You should train your employees on your expense policy and the use of the virtual cards that are created with your virtual card services. Choosing a company that offers extensive expense controls and management tools is also important. You should be able to restrict the cards to your preferred vendors, set spending limits by the day, and choose when the cards can be used. You should also have the ability to turn cards on or off remotely if you see problems or if you simply want to prevent them from happening. The Bento for Business Visa debit cards are a top solution for businesses that are looking for payment solutions. They come with the types of stringent controls that you want and can help to plug expense leaks. The cards allow the data to import automatically into your accounting software, and you can see how your company’s money is being spent simply by logging in. Bento is an affordable solution. You can order up to 10 cards for $29 per month, and the first two cards per year are free. Deposits that are held by Bento are insured by the FDIC for up to $250,000 through the Bancorp Bank; Member FDIC. Bento offers a free 60-day trial so that you can experience how the cards might work for you before you make a purchasing decision. To learn more, call 866.220.8455.